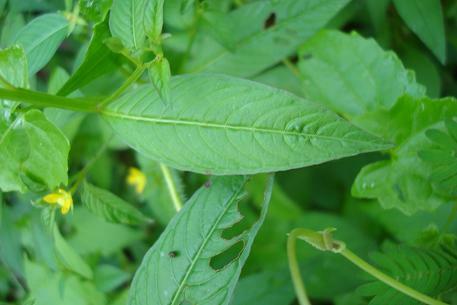 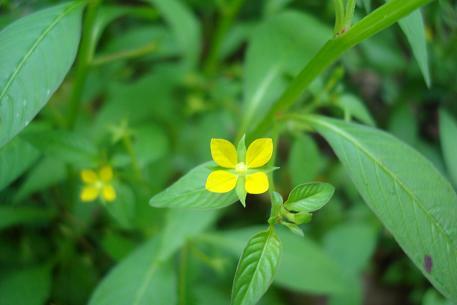 This plant has small yellow flowers, with petals about 2 to 4 mm long. 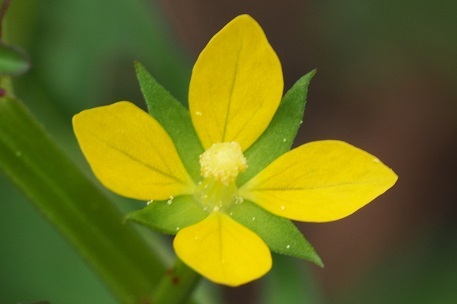 There is a similar looking plant, Ludwigia octovalvis with larger flowers, having petals of about 1 to 2 cm long. 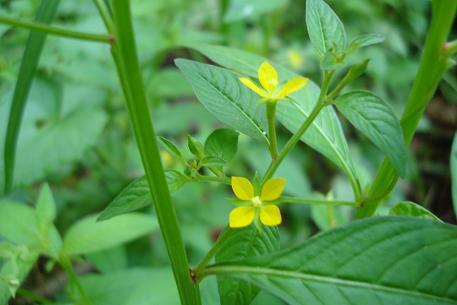 Each flower should have 4 petals. 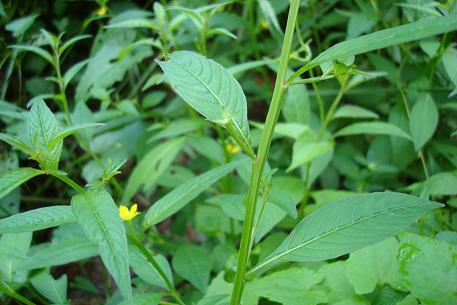 The flower in the left picture below has 5 petals, which is considered rare. 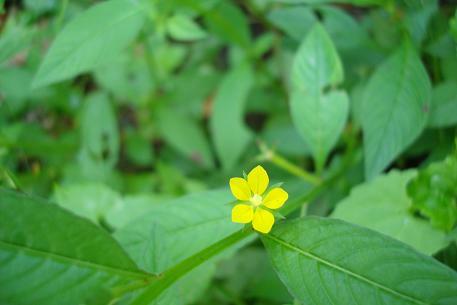 This was the only 5-petal flower I saw on that plant while the rest of the flowers on the same plant have 4 petals. 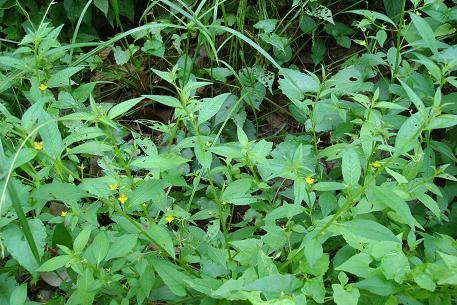 The right picture below shows Ludwigia hyssopifolia growing together with Ludwigia octovalvis. 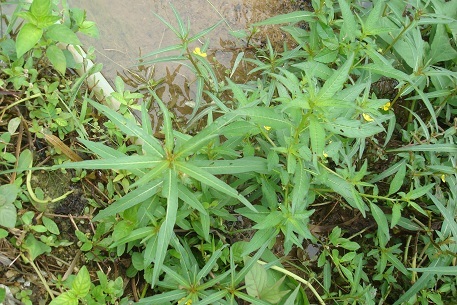 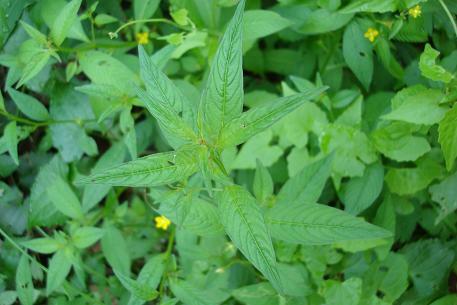 The plant with long, narrow leaves is Ludwigia octovalvis.